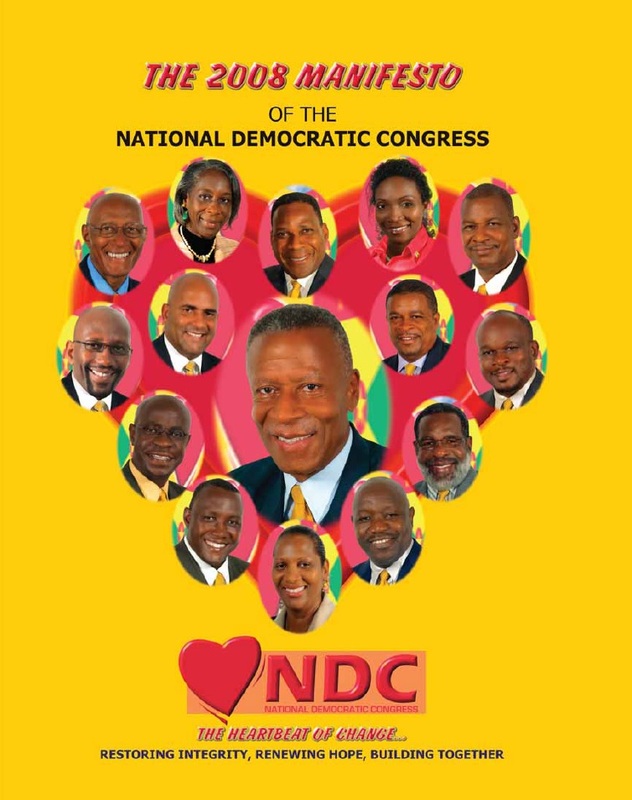 The National Democratic Congress is a liberal centre-left political party in Grenada. 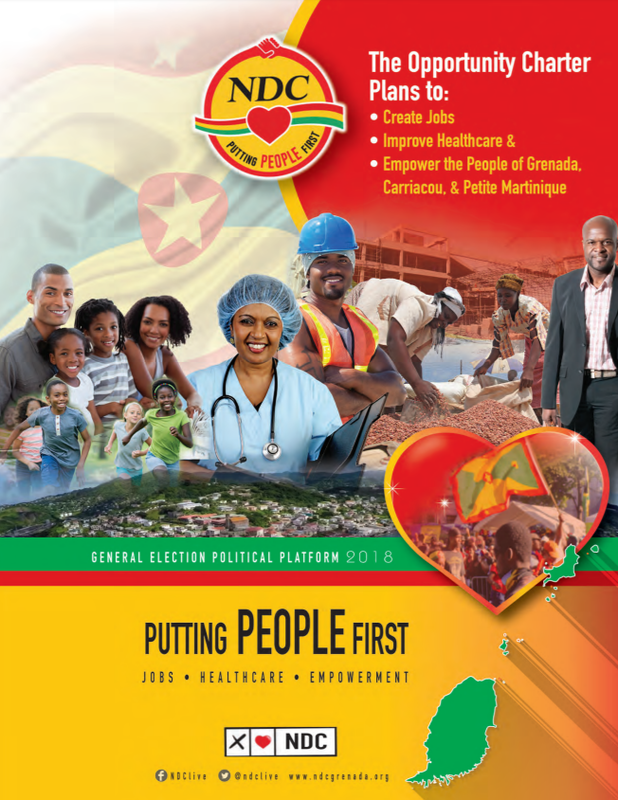 The party was founded in 1987 by George Brizan and Francis Alexis, as a party opposed to the New National Party government that came to power in the 1984 elections after the American invasion of Grenada. It won the 1990 elections, with Nicholas Brathwaite becoming Prime Minister. It lost power to the NNP in the 1995 elections, which were held shortly after Brathwaite's resignation. 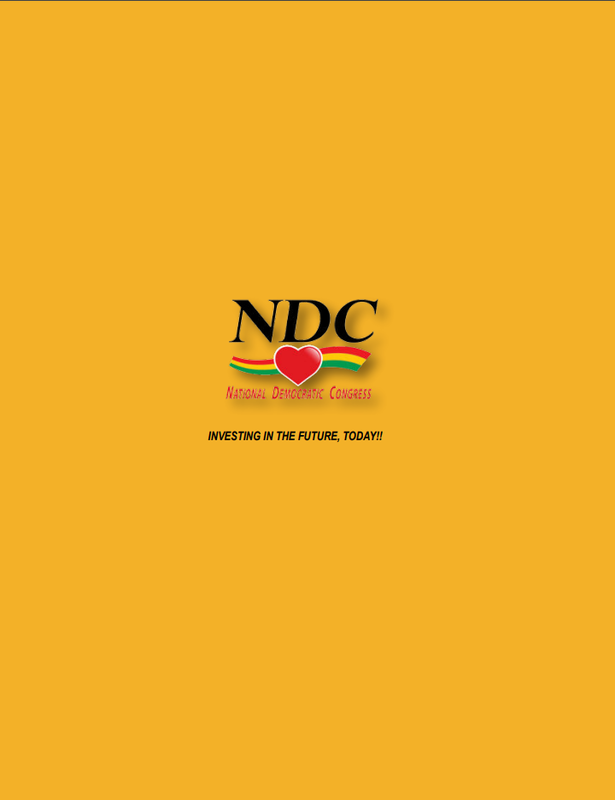 The NDC was thereafter in opposition for 13 years. It failed to win any seats in the 1999 elections, but only narrowly lost the 2003 elections, in which it won 45.6% of the popular vote and seven of the 15 seats. 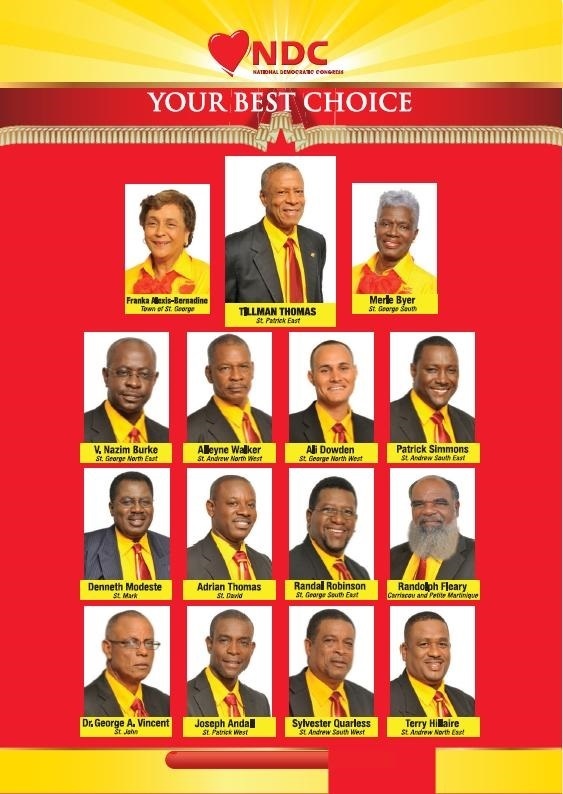 In the July 2008 general election, the NDC won 11 out of 15 seats, and party leader Tillman Thomas became Prime Minister. 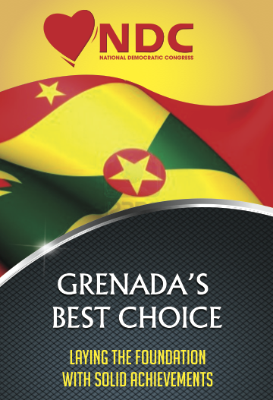 The 2013 election was won by the New National Party (Grenada) under Keith Mitchell winning all 15 seats.